Restaurants are positioned at the center of a network of producers and consumers in such a way that affords them the opportunity to have beneficial social as well environmental impacts. This white paper presents successful models from sustainable tourism in order to develop a comprehensive definition of sustainability that addresses social and economic as well as environmental considerations. 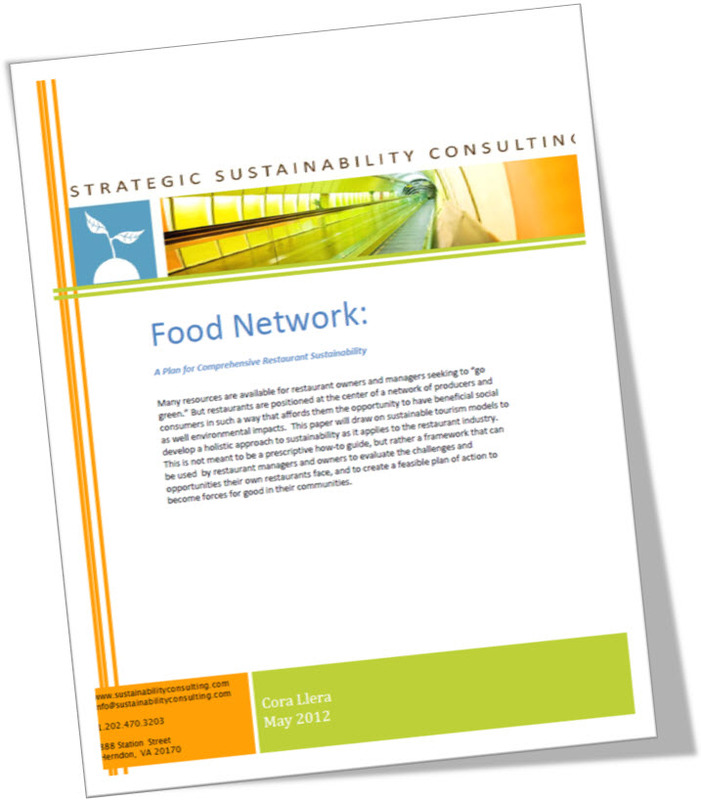 These models are then adapted to Strategic Sustainability Consulting’s methodology to develop a framework for sustainability that leverages the restaurants position at the center of a learning network. A step-by-step plan is offered to guide restaurant owners and managers through the process of evaluating their processes, identifying weaknesses and opportunities to have a positive impact, prioritizing these goals according to their strategic business objectives, and identifying measurable targets.